If you’ve ever done business in Japan, someone probably walked you through the intricacies of Japanese business card culture. 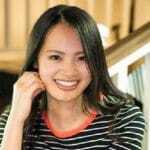 Chika Terada, the founder of Sansan, created one of Japan’s most successful startups around the business card protocol. And even though Sansan has been expanding quickly and is on track for an IPO, Chika thinks that Japanese business card culture will soon disappear. Chika and I talk about the challenges of rapidly scaling a company, and how the IPO market in Japan will change in the next few years. 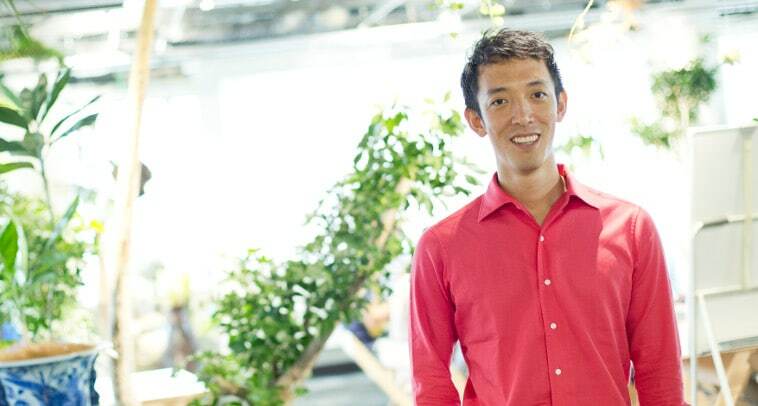 We also talk about what Chika learned as his company expanded into other markets and how even B2B business is really a complex mix of business and culture. You know, anyone who has done business in Japan has had to learn the intricacies of Japanese business card culture and the protocol involved in exchanging them. Well, Chika Terada has built Sansan, one of Japan’s most successful startups around business cards. 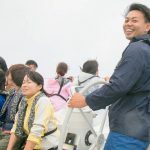 The name Sansan started as a play on words, kind of like the band Mister Mister but the company itself has grown into a powerhouse of B2B CRM and corporate relationship management in Japan where LinkedIn has failed. 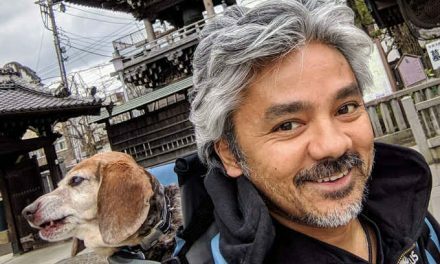 Now, Chika and I talk a lot about the challenges involved in scaling a company up so quickly and what he’s learned by expanding into international markets, some with business card cultures very similar to Japan and some with very different protocols, and we talk about why we might finally be seeing a shift in the unhealthy fixation that so many Japanese investors and founders have on the IPO. And you know, despite the fact that Sansan has built its entire business on business cards and the protocols surrounding them, Chika explains why he thinks that they may eventually go away and what will replace them. But you know, Chika tells that story much better than I can. So let’s get right to the interview. Tim: So we’re sitting here with Chika Terada, the CEO and founder of Sansan who is really changing how Japan looks at business cards. So thanks for sitting down with me. Chika: Thank you, thank you very much for giving me this opportunity to talk with you again. Tim: Again, yes, it’s great to have you back on the show because you were actually the very first guest I had on this show over three and half years ago. Chika: I’m very pleased to hear. I mean, by looking at your success after the first interview, that’s remarkable. Tim: And likewise, you as well. Sansan has been just growing at a fantastic rate since that interview and jt’s one of the real startup success stories in Japan. People from overseas often see Sansan as kind of like a business card scanning app and I know it’s a lot more than that. It’s more like a networking tool but maybe you can just start out by explaining what Sansan is and what Eight is. Chika: Right, it is true that our company deals about business cards but this means our company is all about the business encounters. People meet people in business every day and in Japan and in other Asian countries, people exchange business cards. This is a kind of culture so we provide two services, one is same name as the company Sansan for companies and the other services called Eight which is for business professionals. So Sansan is more like CRM solution based on business cards. The idea is that assuming the business cards as the representative of the business encounters, if you can manage business cards successfully as a company, it’s going to be your sharing database because you can search that database with the name of the company you’d like to access, then you may or may not find a past to that company that your colleagues have. So that’s the whole idea and that data itself can be utilized or exported to other system like salesforce.com. Tim: Well, and you also sort of work out the whole, the corporate org charts and hierarchy based on these cards, right? Chika: Because business cards have the information of title and organizations, so we can structure organizations by capturing business cards. Tim: And every April, when Japanese companies reorganize, Sansan kind of keeps track of that reorganization, right? Well, I think it’s interesting. You guys have really filled a niche that LinkedIn wanted to fill in Japan but wasn’t able to. Chika: Well, it’s about our B2C service. I mean, Eight is the most suitable for that aspect. I mean, you use it for free to build your network. So you scan a business card and you connect with others, and before scanning the cards of others, you’re required to register your own business card. As you scan business cards, you may connected to the people of business cards you scan if they are on the network. Tim: I really liked the way you had of putting it that the business card represents an encounter rather than an individual. Do you think this is at the heart of why Sansan has been so successful when getting in this niche that LinkedIn has not been, this focus on encounters rather than broadcasting information about yourself? Chika: Well, why it is well-adapted in Japanese market is because first of all, people use business cards and we have some trouble managing or keeping track of business cards after they’re received. Of course, we’d like to replace business cards in the end because we don’t believe the usefulness of paper business cards at all. This is a culture right now and it can be altered. Tim: Yeah, no, I think it is interesting. Maybe I’ve just been in Japan so long. Japan definitely has a business card culture where that card does represent the encounter. The US and China don’t have that. I find it to be very easy workflow. So if I’ve gone to an event, I can go back home and look over 25 business cards and remember, oh, I talked to this guy about the this and I talked to her about this, and I promised to follow up. Without those business cards, I can’t remember everyone I talked to and who I have to follow up with. Chika: So, there is still a merit of a business card because it’s portable and everyone has one but still, we’d like to provide a way in which you can do the same thing online digitally. So recently, we released a new feature in which you can scan business cards on the spot and you can send your digital business cards to his or her email. So the image is included, so it’s almost similar to the paper business cards. We try in anyway. Tim: Step-by-step moving towards digitalization. Chika: But we like to keep or sustain a taste of business cards and the benefit of business cards like you said. So we are in a transition period, I think. Tim: Okay, well, one of the things that was unique about SanSan when you were first starting off was that all of the business cards your customers would scan and you would have human staff double check to make sure it’s right. Are you still doing that? Chika: Yes, and the automation really is getting high. From the beginning, we use the technologies and also we used human power. It’s a combination. OCR technologies cannot be perfect. The accuracy rate would be like, 80% to 90% but the remaining 10% to 20% is critical because when you talk about the information, if you get an email address lacking one letter, it’s useless, right? So to fill that gap, we’ve been using crowdsourcing. So as we gather the accurate data, we can automate the process. So we combine technologies with human power. In the beginning, maybe it was only 10% automated but now the rate is like at 60% or 70%, so remaining 30% is done by human. Tim: Okay, that’s still quite a lot of human labor going into this. Do you think AI will ever be at the point where you can just trust AI to do this? Chika: Well, partially, we trust AI. For example, our engine to distinguish language of business cards are fully AI-based. We trust it so we just sort the business cards into English, Chinese, Japanese, or other language using that AI. In that part, there is no human involved. We used to have human in that part as well. So step-by-step, we automate by using AI, and once AI passes the threshold that we can replace human, we apply that to that point. Tim: That makes sense. Actually, as you’ve scaled up, right now, you have around 400 people. So over the past four or five years, you guys have moved from being like a cool small startup to sort of a cool large start up. What did you have to change about your company or your culture to make that happen? Chika: Well, there have been challenges to scale, of course but already have a challenge, right? So to be honest, I don’t have any specific case or a transient period that I would just say that it was difficult. I don’t have such story, to be honest. Tim: Well, okay, from my own experience, I’ve always noticed that when I was running startups and the team was really small, like five or six people, that’s almost like a magical time. It’s like you’re playing in a band or on a sports team and everyone kind of knows what everyone else is thinking, and then there’s the stage around 15, 20 people where you can’t communicate that way anymore and you have to start writing things down, and then I’ve never grown a startup to more than 100 people but it would seem that that’s a certain point, like 100 or maybe it’s 200 people, you don’t know who everyone is anymore and you’ve got to have layers of people between you and the other staff, and you have to motivate staff differently when they can’t just come up and talk to the CEO. Chika: To be honest, I didn’t do anything special. Yeah, we have things, I mean, like I have lunch, one-on-one lunch with all the new employees. As we hire more people, it’s not possible now. So I stopped but I used to have one-on-one lunch, I used to have group dinner meeting kind of thing but it’s pretty common and I mean, that’s not that important, I mean. Tim: Okay, well, actually, one of the things I noticed that you did, I noticed the yearbooks that you publish for all the staff and I thought that was a great idea. Chika: Yeah, yeah, there were such small effective ideas. I mean, we’ve been making yearbooks every year or we have corporate meeting or corporate party and I speak to all the employees every week on Monday and these are the things that may help us to maintain the momentum or organization as one, but that’s nothing special. Many companies can do that. Tim: Okay. Well, I mean, how many companies can but most don’t. I would say most 400-people companies don’t have annual yearbooks that introduce all the new staff and show the parties. Chika: They should do it. Tim: They should, absolutely, but they don’t. Chika: I don’t know why they don’t do it. It’s effective and worth investing. Tim: So you just have a good engage creative HR staff, it sounds like. Chika: Well, one thing I may be able to say is that the executives or managers tend to see the organization to solve the problem but usually, organization follows a strategy or an organization follows the mission, right? So if they feel any trouble of managing organizations, they should look for a mission or goals, or outside targets. Maybe that’s the point where an organization cannot go smooth. Tim: The organization itself can run like a machine and you need people to correct it even if it goes wrong. Chika: For example, I think for the purpose of having a solid mission shared by all the people, we organize corporate-wide discussion every two years to reconsider the statement. Tim: Kind of reevaluate the mission? Chika: Yes, yes, we are in that process right now. So we call it – actually, we call our mission statement and the value statement Katachi. Katachi is Japanese word of – how do you say Katachi? Chika: Structure kind of thing. So we are doing that right now in 2018. We did that two years ago. We did that four years ago. Tim: And everyone can participate? Chika: Everyone can participate or everyone is required or supposed to participate, almost everyone. Tim: Alright, how long is the whole process take? Chika: Maybe half a year. A little bit investment. Tim: That’s a big group of people. Chika: Yeah, it’s a big investment. The purpose of discussion is not discussing. Tim: I think it keeps people engaged. Chika: Yeah, that’s what I want to say. Tim: It keeps people, even if they can’t come up and talk to you directly anymore, if it’s done right, it feels like people still have an impact and they still have an input. Chika: Yeah. That kind of real discussion, I mean, for real purpose is very important, I think to scale a company. I mean, instead of looking in the organization, you should look at the mission as a company. Tim: What about in terms of attracting talents and finding new employees, does Sansan have an employee stock option program? Chika: Part of but not like other companies. Instead of stock options, we have – you can buy stocks. So instead of receiving stock options, you pay some money to buy stock but you can buy at cheaper price than, you know. Tim: This is what interesting thing, I’ve noticed a big difference between most Japanese startups and most US startups. So US startups, stock options are always a really big part of their compensation and in Japan, some startups do it but most of them don’t. Chika: Well, it’s challenging. These days, many companies, I mean, I would say almost all the startups these days would have stock option program. I’ve been asked the question from young entrepreneurs about how to run company or how to run stock option, or these things, then we didn’t do that but you should do it. I would encourage them to do it because that’s a very good tool. Tim: If you had the chance to do it again, you’d start a stock option program? Chika: Sure, because otherwise, we cannot be competitive in the labor market. Tim: But that’s encouraging. So that’s something you think is happening more and more with startups now. Tim: That’s great. Let’s talk about customer acquisition because this is something that I know has changed a lot since the early days. Chika: The turning point for Sansan business is when we started TV commercial. At the time, TV commercial for startups is not common or popular but we did that and it was successful and we continued TV commercial for five years, so it means it works, right? Tim: And I’ve noticed you guys are doing a lot of ads in taxis as well. I can’t get into a taxi anywhere in Tokyo without seeing the Sansan series of ads coming up. Chika: For the last 2 to 3 years, many taxis now have a displays where we can show this commercial. Tim: A lot of startups who’ve received kind of that threshold of funding, it seems to be about 20 million, US$30 million begin aggressively advertising on TV and taxis as well. Chika: In train as well. Tim: Yeah, advertising and marketing should be one of the easiest industries to disrupt and around the world, it tends to be but in Japan, it’s very resistant to disruption. So as you guys have gotten bigger and bigger, are there small agile marketing companies that you’re working with or do you end up working it with the Dentsus and the Hakuhodos to reach scale? Chika: Well, TV commercial is managed by Dentsu, Hakuhodo, those big guys. Eventually, you have to go through them. It’s still effective doing TV commercial. Tim: So it’s still, marketing and advertising is still a market yet to be disrupted in Japan? Chika: Yeah. Of course, there’s a big chunk of digital marketing, of course and we spend a lot of money on digital side as well so it’s a combination of TV and digital advertisement. Tim: It’s interesting how much money startups do have to spend on TV advertising in general and I’m curious, is the importance of TV advertising that broad reach you were talking about or is it more of kind of a credibility? When you see a company advertising on TV, you think like, wow, this is a really good company. They’re big or powerful, they can afford to advertise on TV. Chika: Both are true. As a matter of fact, these days, I’d say money becoming a commodity, I mean, for venture companies. I mean, that’s good in a sense. They can go aggressive. Tim: Yeah, funding is way up. Chika: Yeah. So if we had a good chunk of money, TV is something you can spend a lot of money on it, but it may or may not work but you still have some reach, you still have some credibility, and your employees will be encouraged by seeing their own TV commercial so that works anyway. It may not be effective then they just stopped, and so you can try once. That’s the TV world, I think. Tim: So your advice to other founders would be if you have the money, try it, see if it works? Chika: But many entrepreneurs or CEOs would like to do TV commercial and I would say you should do it carefully but everybody will do that in the end. I mean – because it seems it’s worth trying anyway to try. They may fail, that’s it. Tim: TV is awfully expensive in Japan. Chika: Yeah, yeah, yeah, but that’s why TV may be effective. There are only several channels. Tim: It’s like an exclusive club. Chika: Yeah, yeah, yeah, that’s right. Tim: Alright, we were talking before a little bit about how Japan has kind of a unique business card culture and last time we sat down to talk, you were just starting market entry into the United States and into the Singapore market, and how did things work out in those two markets? Chika: Okay. Well, we got some customers in the US and in Singapore. Now, we focus more Singapore and other Asian companies. I say we have to admit that we are still in the early phase of developing new market, and while SanSan is like that, we launched Eight in India last November. We’re trying to penetrate into Indian market with Eight. One successful result is that we got a lot of accounts overseas as the extension of Japanese accounts. So Japanese global companies. Tim: Oh, so like foreign offices of Mitsui or Mitsubishi. Chika: They started using Sansan in the global network. That’s becoming a good business. It’s one way of going global. We also try to sell to other local companies, of course, so we combine those two activities together. Tim: It’s always been, every startup event I go to, people are always saying kind of, go global or go home, right? And I’m just wondering if a company like Sansan which is so premised, so based on the Japanese business card etiquette workflow, why are the overseas markets so important to you? Chika: Well, first of all, we’d like to do that. I mean, that’s our mission. If there is business card, we should have some opportunity because people should have a certain level of problems managing business cards. So it’s easy. If they have business cards, we should go and in Asian companies, there are a lot of business cards going out, and in the US, in the West, especially, I don’t see business cards these days. Tim: Well, although, that said, what you mentioned before that eventually, UC business cards becoming digital are kind of going away, maybe that will eventually will be the big chance in the US because there needs to be something. I can’t remember everyone I talk to. There’s a need for something there. Chika: Yeah, that’s true. I mean, LinkedIn is super, I mean, in the US, I mean, but I see people may have trouble remembering people they meet. Tim: Yeah, the encounter, right? Chika: Yeah, yeah, yeah, but I can also – I can’t imagine that people again start using business cards in the US, right? So there may be some other way. As we do business in Japan where business cards are prevalent and still very popular, we should be able to find a way to bridge digital way and analog way. Once we find that experience or that way, that may be able to expand it to nonbusiness card culture companies. Tim: Alright, so it makes sense that you want to keep involved with all the overseas markets in any event. Well, so far, I mean, you guys have raised about $93 million and your investors are both Japanese VCs and overseas VCs. Are the overseas VCs or I guess, the Japanese VCs as well, are they also pushing you to go global or are they were just sort of hands off, make it work, make us some money? Tim: Excellent. Do you have any plans to kind of glow horizontally? I mean, for example, moving into sales automation tools or developing Sansan as an actual business social network or something like that? Chika: We recently released a new product called Sansan Customer Intelligence. It’s like the extension product of Sansan. We call it CI. CI is a data integration platform in the corporate system. We have been digitizing the business cards. The number of business cards we digitized is like, 500 million. We consolidate the data so that it represents people or a company, not representing a mere card. So that technology can be built into that CI. Tim: So is that going to be more of like a data cleansing service or is that more of like a platform that could compete with Salesforce? Chika: It works with salesforce.com. If you have a CI in your system, you can connect salesforce.com with that CI. You of course connect SanSan with CI, you may connect marketing automation to Marketo to CI, or a proprietary system to CI, then all the data is gathered in CI, then it’s consolidated. So just a mere email address in marketing automation system can be passed to CIZ, then that email is consolidated with the business card information, then the whole data is back to marketing automation tool. That kind of master management platform. Chika: As a private company. Tim: As a private company. What’s the logic behind it? 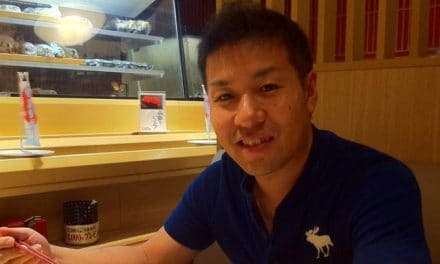 Why have you decided to stay private and growing for so long, and why do so many Japanese founders have trouble doing that? Chika: First of all, I doubt there are too much pressure from VCs to make an IPO. I mean, some people say that they have pressure from VCs so that they make an IPO, and they wanted to make an IPO, and it may be true: there may be some pressure but if management wouldn’t like to make an IPO, they can push it back anytime. Tim: Well, I mean, I talk to a lot of founders and I’m not sure how hard the pressure is but a lot of times, the VCs will bring up the IPO plans at almost every meeting. Chika: Well, maybe the way of raising money is the reason why they gotta pressure. What we say to our investors, IPO is one option all the time. The important point is to grow the company and its to grow the valuation of the company for you, then as it grows, what’s wrong with it? Liquidation, if you need maybe made in other way. Tim: So it’s mainly, you did a lot of setting of the expectations at the time of the investment? Chika: We always have had a plan as IPO and as we go forward, then it’s obviously the better ways to raise money privately. Again, to grow faster, maybe we should go that way, right? So that’s it, and then why you say we should make an IPO? That’s a critical question to venture capital, right? Tim: Oh, well, it’s easy, the VCs want to book that profit on their fund in a way. Chika: Yeah, that’s something we should respect but if that’s the case, you can think about the moving their stock to other new shareholders, right? Even in a private status. Tim: So you haven’t felt any particular pressure from investors to IPO? Chika: They’re having a pressure. Of course, some VCs need to liquidate their timing and they like us to make an IPO. That’s a discussion, that’s a conversation, I guess I know because what is better? It’s made by us, that’s it. Tim: Excellent. Do you think more founders are thinking the way you are? Do you think we’re going to see Japanese companies staying private longer? Chika: I think so. Yeah, that’s a US trend anyway, right? Tim: Well, I think it’s healthier for the companies. Tim: Yeah, I think a lot of Japanese companies IPO and there’s still so much growth left in them. Chika: And there are more venture capitalist’s in the latest stage funding these days. Without having those players, we cannot stay longer in private, right? But as we go to Series B, Series C, we did Series D last year, we found more players in that stage, a few players. So that way, more venture startups would stay longer, I think. Tim: Alright, that will definitely be a good thing for the startup ecosystem as a whole. Let me ask you some general Japan questions. In our last interview, we talked a lot about how you left Mitsui and how a lot of people around were kind of surprised that you were doing it and I’m curious: over the last 3 1/2 years, do you think the attitudes have changed at big companies? Chika: Yeah, it’s changed a lot. As they need to adapt the sense of innovation, many big companies now have corporate venture capitalists and they respect ventures more these days, and to join ventures, it’s what is major career these days, right? So it’s changed already. Tim: In such a short time. Chika: Yeah, yeah, and of the Japanese government is pushing very hard, right? Tim: So more and more staff from Mitsui are going out on their own? Tim: Yeah? Well, we had just a couple of months ago, Inada-san. Chika: Yeah, yeah, yeah, he’s a good guy. He’s very nice, yeah. So recently, I got questions from ex-Mitsui entrepreneurs, a lot. Tim: Does Mitsui have – is there like a Mitsui alumni group of founders working together? Chika: We created the ex-Mitsui alumni not officially because it’s not supported yet by Mitsui itself. Tim: But just as a personal network? Chika: Yeah, but there are like, 300 people, not only by entrepreneurs but all the Mitsui people, quit Mitsui before their retirement age. Tim: You know, I think that is so important and in San Francisco, I mean, everyone knows about the PayPal mafia and stuff but I think if you look back over the last 20 years in Japan, ex-Oracle, like Oracle had a very powerful and unofficial alumni association that went on to either fund or found a lot of companies. IBM also. Chika: In Japan, Recruit Alumni is very famous. Chika: Yeah, it’s a talent pool to start a new company. Tim: I think that might actually be one of the main mechanisms that will change large enterprises because it’s very hard for them to reach out to startups but having this sort of unofficial alumni as a bridge. Chika: Yeah, that’s right. We got approached from Mitsui last year. I said it’s not official but it’s almost official because we had an official conversation with Mitsui executives to corporate. It’s very remarkable that Mitsui, like big enterprises work with their alumni which may be betrayal to the old sense. Chika: So yeah, that’s good, yeah, and I was invited to Mitsui to make some speech several times, maybe 2 to 3 times, so yeah, it’s changing. Tim: That’s really encouraging although I’ve got to say, maybe Mitsui, because they’re a trading house, I mean, they have that dealmaking DNA in them. Chika: Yeah, maybe that’s one of the reason why Mitsui is now more positive about the alumni network and it’s meeting people that companies by themselves but generally, big enterprises are changing in the way of Mitsui like or in the way of for example, Sharp or Toshiba, those failing companies would send people to other sectors, right? So that’s a good power to flourish new companies or new businesses. Tim: I mean, that’s really encouraging to hear, that there’s been so much of a change in such a very short time. Tim: Well, listen, Chika, before we wrap up, I want to ask you what I call my “Magic Wand” question and I actually asked you this 3 1/2 years ago and I’m not going to let you give the same answer again, and that is, if I gave you a magic wand and I told you that you could change one thing about Japan, anything at all – the education system, the way people think about risk, the legal system, anything at all to make things better for startups in Japan, what would you change? Tim: Education? How would you change it? Chika: Well, innovation can be taught and that mindset should’ve been taught. Tim: That’s something I agree with. 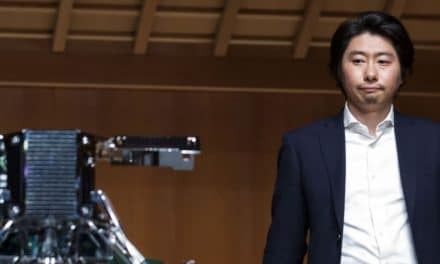 I agree that innovation can be taught but that’s not the general impression among most Japanese so how would you get people to – how would you teach them that? Chika: Design thinking and programming. These two skills, I’d say, should be taught with the mind of making innovation. If you have these skills when you are still young, you can try anything by yourself and that may be the source of innovation. Tim: How young do you think we should be teaching kids this? Tim: I think that would be great. I think it would be easier. I think it’s easier to teach a seven-year old design thinking that it is a 57-year old. Chika: That’s right, that’s right. That’s already a best practice, right? Design thinking is and programming is – you could teach programming anyway, right? So these two should be taught. Tim: Do you think the trend is in that direction? Chika: I think so, I think so. Tim: Yeah? Are you seeing programs like that in schools? Tim: That’s great. I didn’t know that. Chika: Design thinking is not yet coming but it’s a matter of time, I think. Tim: Right, I could see design thinking being a huge hit in elementary school. It’s a game, really. Chika: Yeah, yeah, yeah. Well, I see many friends or many entrepreneurs, or many CEOs really interested in running or supporting new schools or new education. So that initiative may help change in a lot of ways from the private sector. Tim: Yeah, I think so. Well, I hope will be seeing that change happen as fast as we’ve seen the corporate attitudes change. Chika: Yeah, I really hope so. Tim: Well, listen, thanks again. Chika: Thank you, thank you. Thank you very much. I really liked Chika’s idea of business cards as representing an encounter rather than just of the data about a particular person. It’s hard to explain why this seems like such an important difference but I think it goes a long way to explaining why business cards are treated with such respect and deference in Japan. Sansan’s fundraising path is interesting and kind of important, really. 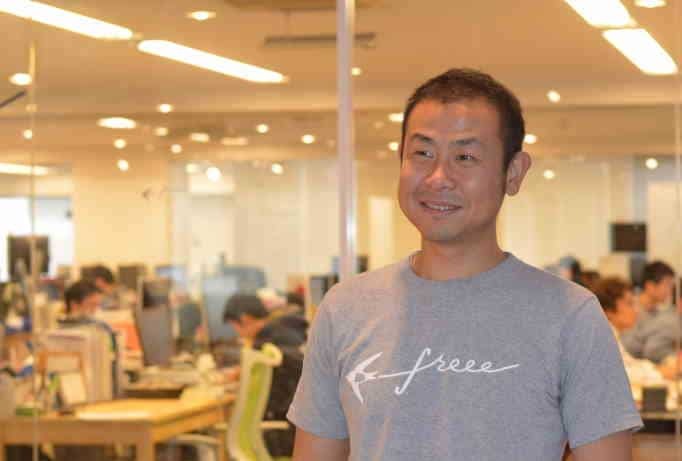 One of the most common frustrations or at least observations from foreign startup investors in Japan is that Japanese startups tend to go public way too early. There are a lot of reasons behind that and most of them are bad reasons, quite frankly, but the fact that these days, there’s more growth funding available at later stages is a great thing. It will let Japanese startups to stay private longer and make them more internationally competitive. But you know what I found to be the most encouraging sign for overall innovation in Japan? 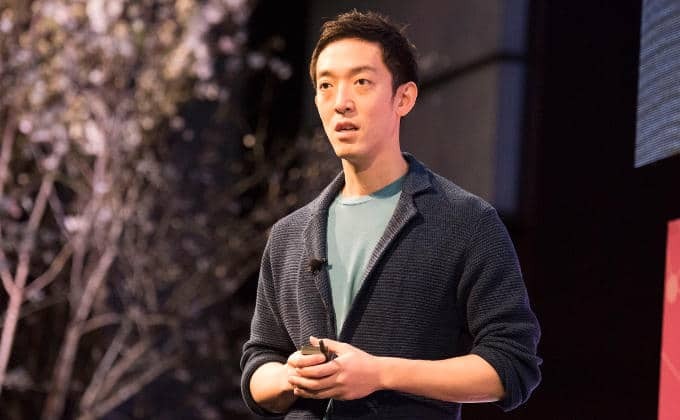 How quickly Mitsui has turned around and embraced startup culture and how they’re actively working to maintain relationships with founders who have left the company and create a founder’s community. Japan I think hasn’t really discovered a model for innovation that is working for them yet but Mitsui’s approach is a promising one. It’s embracing change at the edges rather than trying to change the core and at least at first, and it might prove to be a blueprint for other large enterprises to follow. Silicon Valley has been the center of an unbelievable amount of innovation and wealth creation but that model doesn’t work for everyone. In fact, it’s proven all but impossible to copy, and really, we shouldn’t be too surprised by that. Every country, every culture has their own strengths and weaknesses, and everyone needs to play to their strengths. A few decades ago, Japan was probably the most innovative country in the world and keep watching because it just might be again. If you’ve got thoughts on business cards or fundraising, Chika and I would love to hear from you. So come by disruptingjapan.com/show122 and tell us about it, and we can when you come by the site, you’ll see all the links and notes that Chika and I talked about and much, much more in this resources section of the post.